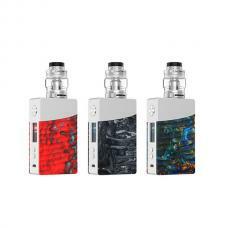 The Rincoe Manto X 228W TC Vape Kits, 4 fashionable colors available, includes Manto X TC Box Mod and Metis Mix Sub Ohm Tank. 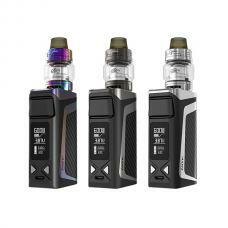 the Manto X is the smallest dual 18650 battery mod, it powered by dual high-rate 18650 batteries and max output 228watts, 4 working modes available: VW, TC, TCR, and Bypass. 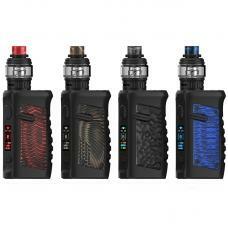 vapers can adjust easily to meet your demands according to different tanks. it can match with 30mm tanks without overhang. 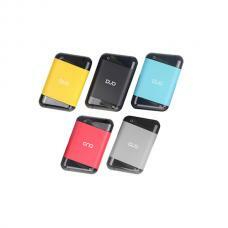 the Rincoe Temp Control Box Mod with 2A quick charging system, the batteries can be fully charged more quickly. the Metix Mix Sub Ohm Tank can hold 6ml e juice, with convenient top refill design, only taking off the top cap and inject your e juice, no leaking. there are dual large airflow adjustable slots on the bottom, vapers can rotate the ring to adjust the airflow to your preference easily. 4 new Mesh Coil Heads for the new Rincoe Mesh Tanks: single mesh 0.15ohm, dual mesh 0.2ohm, triple mesh 0.15ohm and Q4 mesh 0.15ohm, the new coil heads allow the tank fires up to 180watts, it will deliver the intense flavor or huge cloud of vapor.